Adding undercabinet lighting to brighten things up. About ready to list your home? Wait! Hold it! A better kitchen always contributes to increasing the sales price of a home, so be sure your kitchen helps your home sell for the best possible price. 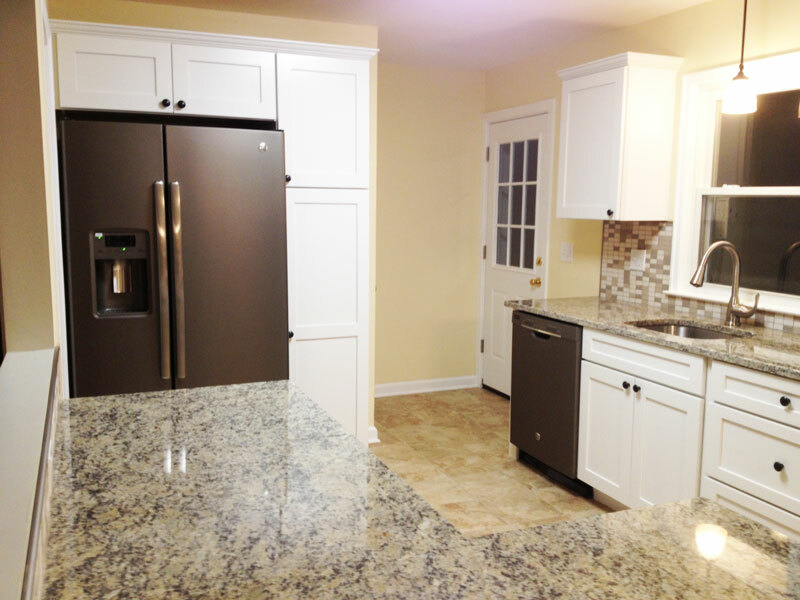 FLOORING - New tile flooring makes kitchens look more attractive & makes cleaning up a breeze. 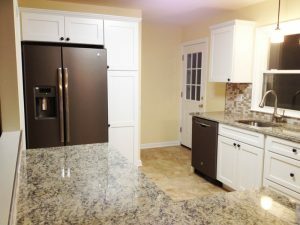 APPLIANCES: For a potential buyer walking into a kitchen and seeing a new range, fridge, microwave, and new sink, they get the feeling someone could start cooking today in there. 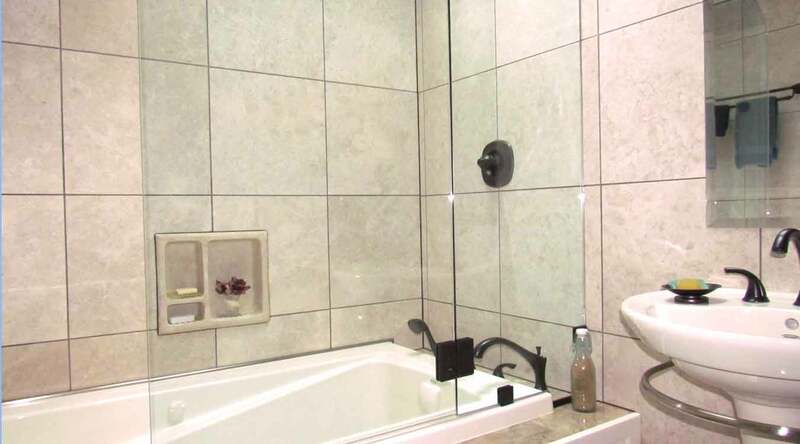 COUNTERTOPS: Consider installing a new Undermount sink, with one or two basins, which is a lot less expensive than changing all of the cabinetry. 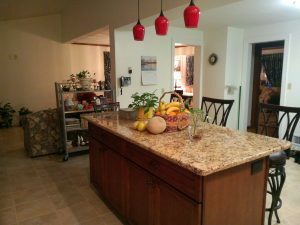 Adding tile flooring and fixed-up fixtures, plus adding cabinet pulls & hinges (instead of new cabinets) provides a fresh face to your kitchen. 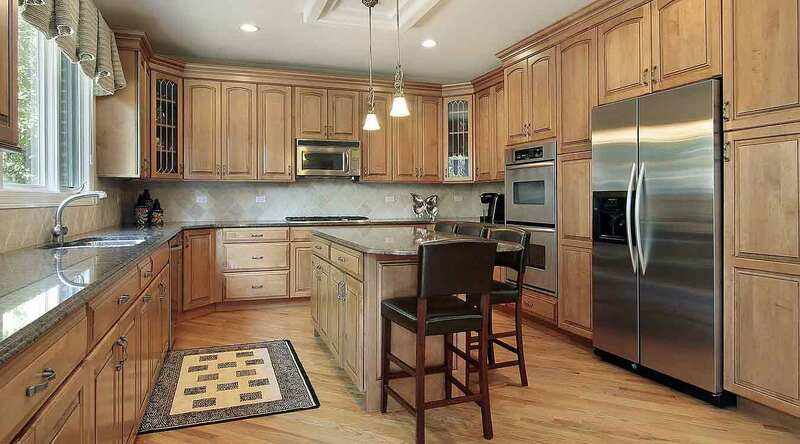 STORAGE SPACE via pantries & cabinetry near or in the kitchen instantly shows lots of room to cook. KITCHEN WINDOWS, enlarged or replaced: increasing the outdoors view from the sink, for example, makes a huge difference in whether people decide to buy or not. FIXED-UP FIXTURES: For plumbing fixtures, replace old faucets with new ones. If there's room, convert from single to double sink. For light fixtures, add new ones over the sink and prep areas, while undercabinet lighting sheds new light all around. CABINET FRONT-FACELIFTS: Simply just changing a cabinet's pulls (handles) & hinges often gives cabinetry a bold new look. PAINT: always a finishing touch that's inexpensive in any kitchen. 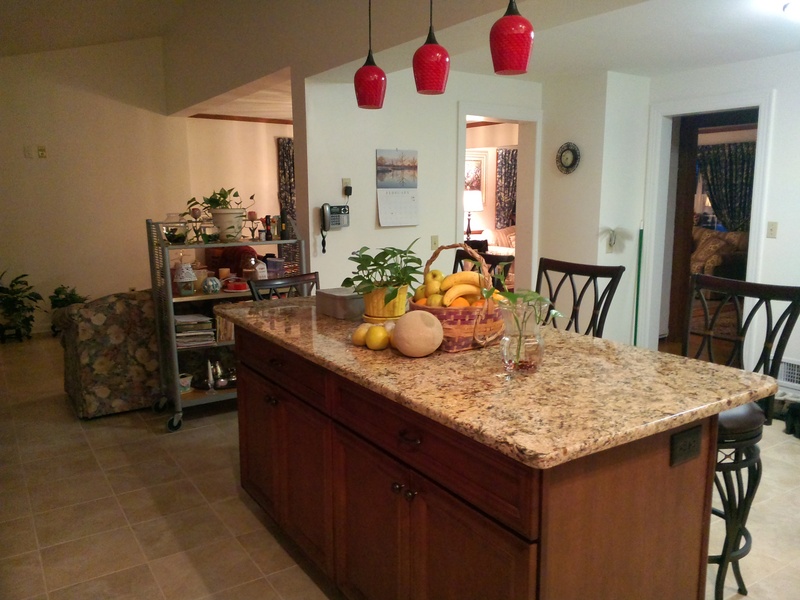 Once your kitchen makeover is complete with any of the above ideas, you know you've made your kitchen the best it can be, to help greatly increase the listing price of your home. GET INPUT FROM AN EXPERT: Keith Santora of Handyworks Remodeling and Design (HRD) replies ASAP to your question the same or very next business day! Free, no obligation. Click here to ask.